For all those not into Web development CSS according to Wikipedia is Cascading Style Sheets (CSS) is a stylesheet language used to describe the presentation of a document written in a markup language. CSS is used to help readers of web pages to define colors, fonts, layout, and other aspects of document presentation. 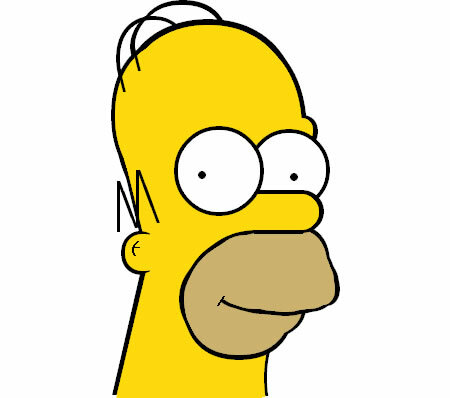 In short the Homer Simpson you see above is not drawn but scripted with positioning and color schemes to the last pixel. Using that Roman Cortes has created the Homer CSS. Being into web designing I can understand the time and expertise involved and can only say ‘Hats off to you Sir’.